After Meetic buying the European operations of Match.com last week, here’s another sign the online media landscape in Europe is changing in the face of a dire economy: pan-European online media company GoAdv will later today announce that it has proposed to acquire LeGuide.com, an 11-year old network of shopping portals operational in 14 European countries, for €50 million (about €64.5 million), and retain all of its staff and offices. GoAdv currently holds 395,648 shares in LeGuide.com, which is approximately 11.8% of the share capital and 10.8% of the voting rights. The company states that it informed the LeGuide group on 18 December last year that it had crossed the 5% and 10% thresholds in the capital and voting rights earlier that month. The move would instantly make GoAdv a significant player in the continent’s online and social shopping field, now that it holds cards in terms of content, online marketing and shopping with offices in Ireland (Dublin), France, Germany and Italy. In case you don’t remember, GoAdv acquired Excite Europe in October 2007 and went on to raise €11 million by issuing convertible bonds in the Summer of 2008, prompting TechCrunch UK’s Mike Butcher to predict that they’d go on a buying spree. Turns out he was right. 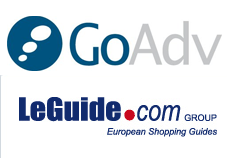 GoAdv, founded in 2004, says it counted 17.6 million unique monthly users across its network – which includes Excite properties as well as the BetterDeals site network – in November 2008, while LeGuide.com welcomed 14.8 million unique monthly users in December 2008 if you add traffic for DooYoo, a shopping and review site the LeGuide group acquired last year. With this acquisition, which still needs to be approved, GoAdv is betting hard on the estimated growth of e-commerce and social shopping in Europe for the years to come. Finnish startup Fruugo is currently readying the launch of a ‘new breed’ of social shopping service in Europe, so we’ll be curious to see if it will be able to compete with GoAdv. GoAdv will offer shareholders in LeGuide.com the opportunity to exchange their shares in a voluntary mixed public offer according to the following parity: 5 GoAdv shares along with a €45 cash adjustment for every 6 shares contributed in LeGuide.com, i.e. an offer of €15.19 for each LeGuide.com share, based on the 3 month weighted average price of a GoAdv share. The terms of the voluntary mixed public offer would express a 9.2% premium in relation to the 1 month weighted average price and 28.8% in relation to the 3 month weighted average price of a LeGuide.com share. Taking 12 December 20083 as a reference, the terms of the offer express a 44.7% premium in relation to the 1 month weighted average price and 33.2% in relation to the 3 month weighted average price. If all the shares in Leguide.com (watered stock) were contributed to the voluntary mixed public offer, this would represent a capital increase of 2,532,390 new GoAdv shares. A shareholder in GoAdv would then be diluted by 28.2%. Update 2: it’s been brought to our attention that the takeover bid is considered hostile by LeGuide.com, who has stated that it sees little synergies in a combination of both companies for now. To be continued.